TOWNHOUSE STYLE CONDO IN EAST BAY VILLAGE. 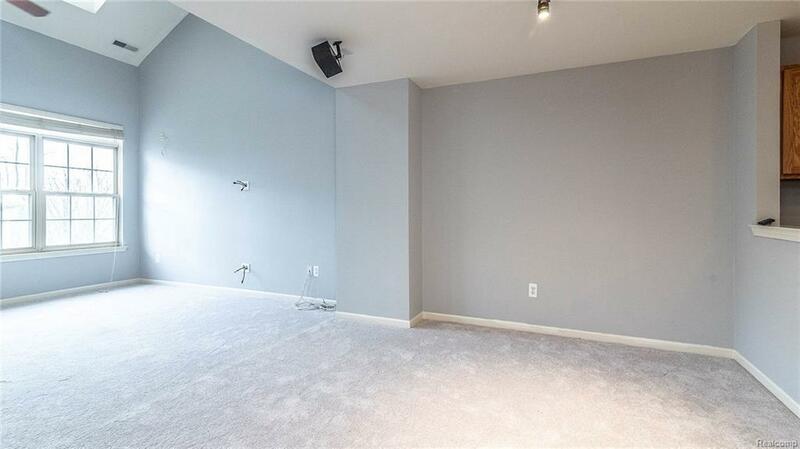 FRESHLY PAINTED WALLS AND NEW CARPET THROUGHOUT. MAIN LEVEL MASTER WITH ATTACHED BATH. 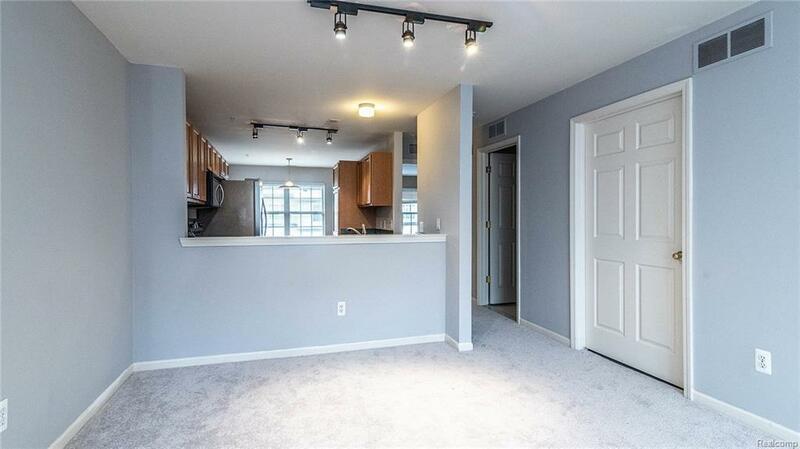 KITCHEN OPENS TO GREAT ROOM. 2 ADDITIONAL BEDROOMS UPSTAIRS WITH LOFT PROVIDES MANY OPTIONS FOR SPACE. KITCHEN FEATURES GRANITE COUNTERS. HAVE COFFEE ON THE BALCONY. IN UNIT LAUNDRY ON MAIN FLOOR. ALL APPLIANCES STAY.ADDITIONAL PARKING SPACE BEHIND 1 CAR GARAGE, AND GENERAL GUEST PARKING NEARBY. GREAT LOCATION INSIDE COMPLEX FACING COURTYARD WITH GAZEBO. ENJOY ALL THIS COMPLEX HAS TO OFFER: LAKEFRONT BEACH WITH DOCK FOR SWIMMING, CLUBHOUSE, POOL, HOT TUB, VOLLEYBALL COURT, GAZEBOS. PRIVATE ENTRY. WALK YOUR PADDLE BOARD AND KAYAK OVER TO THE LAKE TOO! ENJOY THE 5 MILE WALK, JOG, OR BIKE AROUND WALLED LAKE. 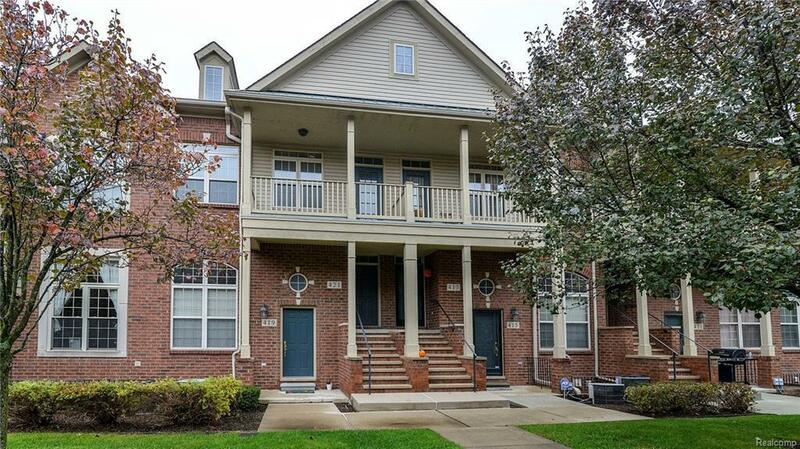 WALK TO DOWNTOWN WALLED LAKE WITH RESTAURANTS, BAKERY, BEACH. 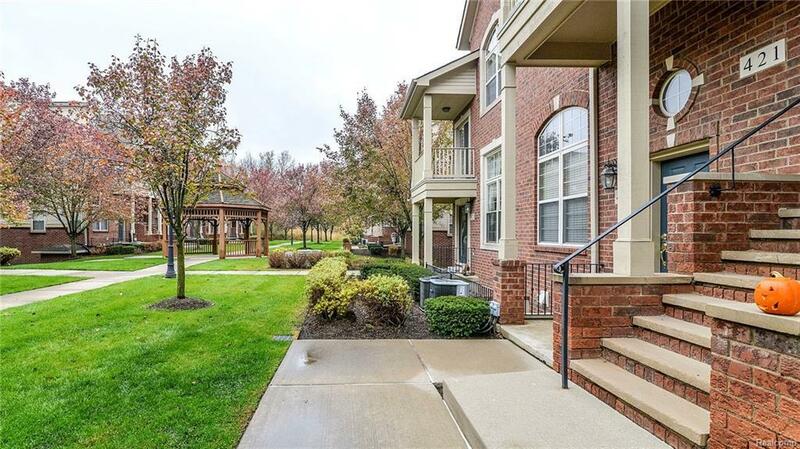 DOWNTOWN NOVI JUST MINUTES AWAY TOO! ASSOCIATION MAINTAINS LANDSCAPING AND SNOW REMOVAL. Listing courtesy of More Group Michigan, Llc.